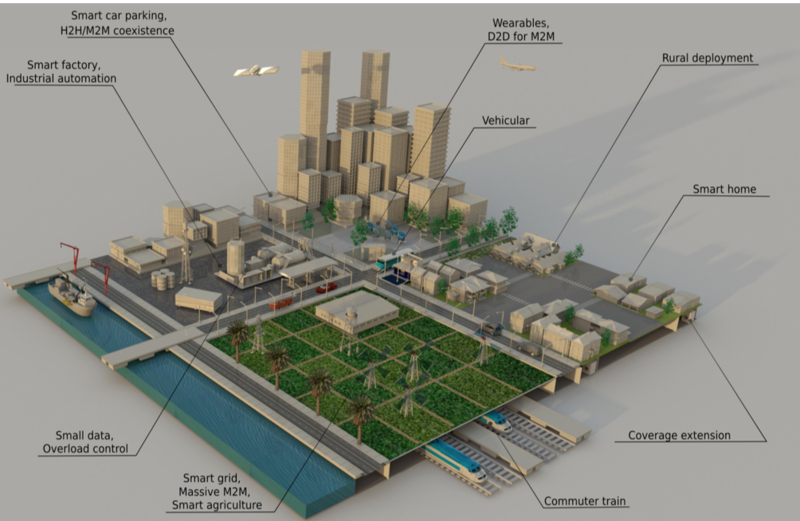 A vision of diverse M2M use cases across a variety of industries. This work addresses the market-changing phenomenon of the Internet of Things (IoT), which relies on the underlying paradigm of machine-to-machine (M2M) communications to integrate a plethora of various sensors, actuators, and smart meters across a wide spectrum of businesses. The M2M landscape features today an extreme diversity of available connectivity solutions which − due to the enormous economic promise of the IoT − need to be harmonized across multiple industries. Performance results: handling very large numbers of devices -- motivating M2M scenario. To this end, we comprehensively review the most prominent existing and novel M2M radio technologies, as well as share our first-hand real-world deployment experiences, with the goal to provide a unified insight into enabling M2M architectures, unique technology features, expected performance, and related standardization developments. 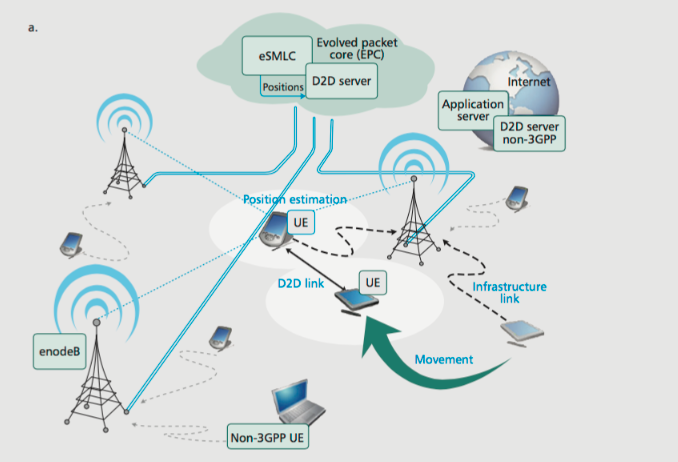 We pay particular attention to the cellular M2M sector employing 3GPP LTE technology. This work is a systematic recollection of our many recent research, industrial, entrepreneurial, and standardization efforts within the contemporary M2M ecosystem. Link to the original manuscript. Distribution of resource blocks across data access channels. 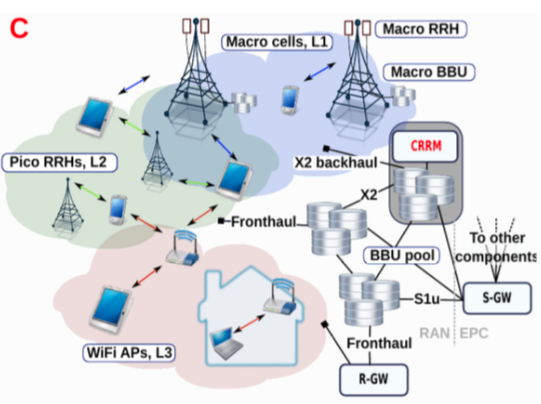 In this work, we address the emerging concept of Machine-Type Communications (MTC), where unattended wireless devices send their data over the Long Term Evolution (LTE) cellular network. 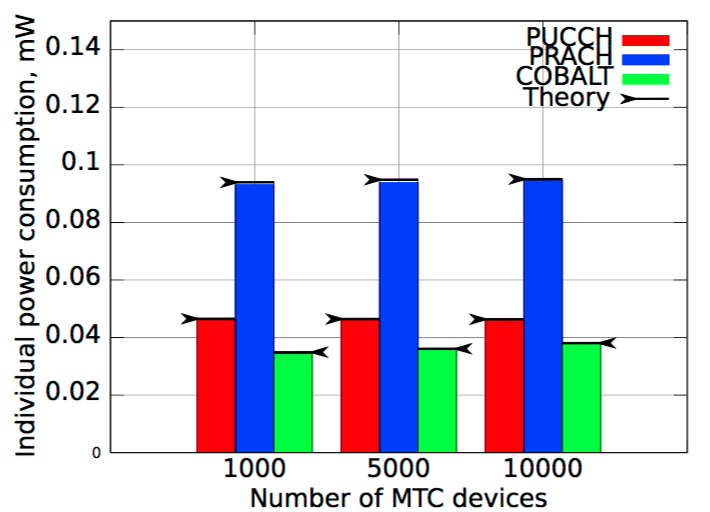 In particular, we emphasize that future MTC deployments are expected to feature a very large number of devices, whereas the data from a particular device may be infrequent and small. Currently, LTE is not optimized for such traffic and its data transmission schemes are not MTC-specific. Power consumption for different access schemes. To improve the efficiency of small data access, we propose a novel contention-based LTE transmission (COBALT) mechanism and evaluate its performance with both analysis and protocol-level simulations. When compared against existing alternatives, our data access scheme is demonstrated to improve network resource consumption, device energy efficiency, and mean data access delay. We conclude that COBALT has the potential for supporting massive MTC deployments based on the future releases of the LTE technology. Heterogeneous multi-radio networks are emerging network architectures that comprise hierarchical deployments of increasingly smaller cells. In these deployments, each user device may employ multiple radio access technologies to communicate with network infrastructure. With the growing numbers of such multi-radio consumer devices, mobile network operators seek to leverage spectrum across diverse radio technologies, thus boosting capacity and enhancing quality of service. In this work, we review major challenges in delivering uniform connectivity and service experience to converged multiradio heterogeneous deployments. We envision that multiple radios and associated device/infrastructure intelligence for their efficient use will become a fundamental characteristic of future 5G technologies, where the distributed unlicensed-band network (e.g., WiFi) may take advantage of the centralized control function residing in the cellular network (e.g., 3GPP LTE). Illustrating several available architectural choices for integrating WiFi and LTE networks, we specifically focus on interworking within the radio access network and detail feasible options for intelligent access network selection. Both networkand user-centric approaches are considered, wherein the control rests with the network or the user. In particular, our system-level simulation results indicate that load-aware usercentric schemes, which augment SNR measurements with additional information about network loading, could improve the performance of conventional WiFi-preferred solutions based on minimum SNR threshold. Comparison with more advanced network-controlled schemes has also been completed to confirm attractive practical benefits of distributed user-centric algorithms. Building on extensive system-wide simulation data, we also propose novel analytical space-time methodology for assisted network selection capturing user traffic dynamics together with spatial randomness of multi-radio heterogeneous networks. Topology and architecture of a converged heterogeneous network. While operators have finally started to deploy fourth generation broadband technology, many believe it will still be insufficient to meet the anticipated demand in mobile traffic over the coming years. Generally, the natural way to cope with traffic acceleration is to reduce cell size, and this can be done in many ways. The most obvious method is via picocells, but this requires additional CAPEX and OPEX investment to install and manage these new base stations. Another approach, which avoids this additional CAPEX/OPEX, involves offloading cellular traffic onto direct D2D connections whenever the users involved are in proximity. Given that most client devices are capable of establishing concurrent cellular and WiFi connections today, we expect the majority of immediate gains from this approach to come from the use of the unlicensed bands. However, despite its huge commercial success, WiFi-based direct connectivity may suffer from stringent session continuity limitations, excessive user contention, and cumbersome manual setup/security procedures. In this research, we detail our vision of integrating managed D2D communications into current cellular technology to overcome the limitations of WiFi. We also quantify the estimated network performance gains from offloading cellular traffic onto D2D connections. Our analysis is based on an advanced system-level simulation toolkit that captures the relevant details of the network environment, and a detailed characterization of dynamic D2D communications based on stochastic geometry. We conclude that D2D communications provide a significant boost to network capacity as well as user energy efficiency and quality of service perception. Architecture of the envisioned D2D offload system. Example of H-CRAN deployment and system modes. H-CRAN architecture. Responding to the unprecedented challenges imposed by the 5G communications ecosystem, emerging heterogeneous network architectures allow for improved integration between multiple radio access technologies. 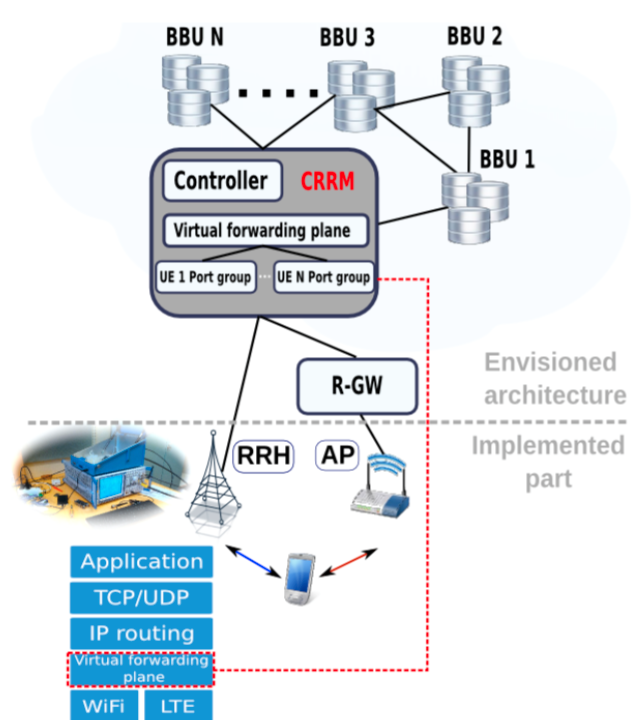 When combined with advanced cloud infrastructures, they bring to life a novel paradigm of heterogeneous cloud radio access network (H-CRAN). The novel H-CRAN architecture opens door to improved network-wide management, including coordinated cross-cell radio resource allocation. In this work, emphasizing the lack of theoretical performance analysis, we specifically address the problem of cooperative radio resource management in H-CRAN by providing a comprehensive mathematical methodology for its realtime performance optimization. Our approach enables flexible balance between throughput and fairness metrics, as may be desired by the network operator, and demonstrates attractive benefits when compared against the state-of-the-art multiradio resource allocation strategies. The resulting algorithms are suitable for efficient online implementation, which principal feasibility is confirmed by our proof-of-concept prototype. 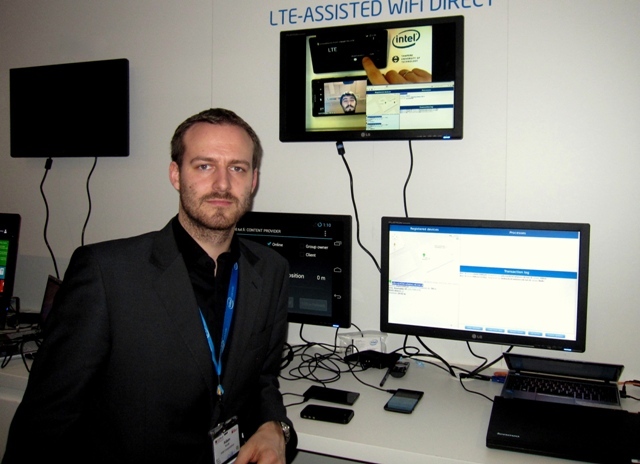 Our team members were presenting the "LTE Assisted Wi-Fi Direct" demo as part of the Intel Corporation exhibition. Thanks to our contributions, sometime ago the technology was added to the LTE Release 12. The live prototype demo helped Intel to promote the idea among the operators and device manufacturers. During the four days of congress, numerous visitors shown interest in the technology, ranging from operators to system integrators of public safety solutions. This gave us a very nice insight into future applications of the technology and new ideas for further research and development. W.I.N.T.E.R. group on MWC 2014. Cellular operators are currently facing increased congestion levels on their networks due to rapid acceleration in the volumes of mobile data traffic, which translates to poor quality-of-experience (QoE) for the end users. While deploying higher density of serving base stations is indeed expected to mitigate the growing disproportion between the user QoE and the available wireless resources, this solution is costly and hindered by many practical challenges. An attractive simple alternative to relieve cellular network congestion is to enable traffic offloading onto direct device-to-device (D2D) connections in unlicensed bands, as modern multi-radio user devices are already capable of establishing concurrent cellular (HSPA, LTE, etc.) and short-range (e.g., WiFi) links. This demo includes the complete network-assisted D2D technology prototype, which demonstrates reliable cellular traffic offloading onto WiFi Direct links, thus providing seamless D2D connectivity experience. With D2D offloading, the resultant QoE (e.g., video transmission quality) is shown to improve dramatically, even when using bandwidth-hungry and/or real-time mobile applications in challenging urban conditions. You can find more details on the demo flow here: watch video.